Finally, a way to salvage that last third of your cup of coffee: The Nano Heated Mug from Green Lama will keep your coffee warm for 45 minutes. The cup uses a heater to warm the steel lining of the cup, keeping the heat distribution even. 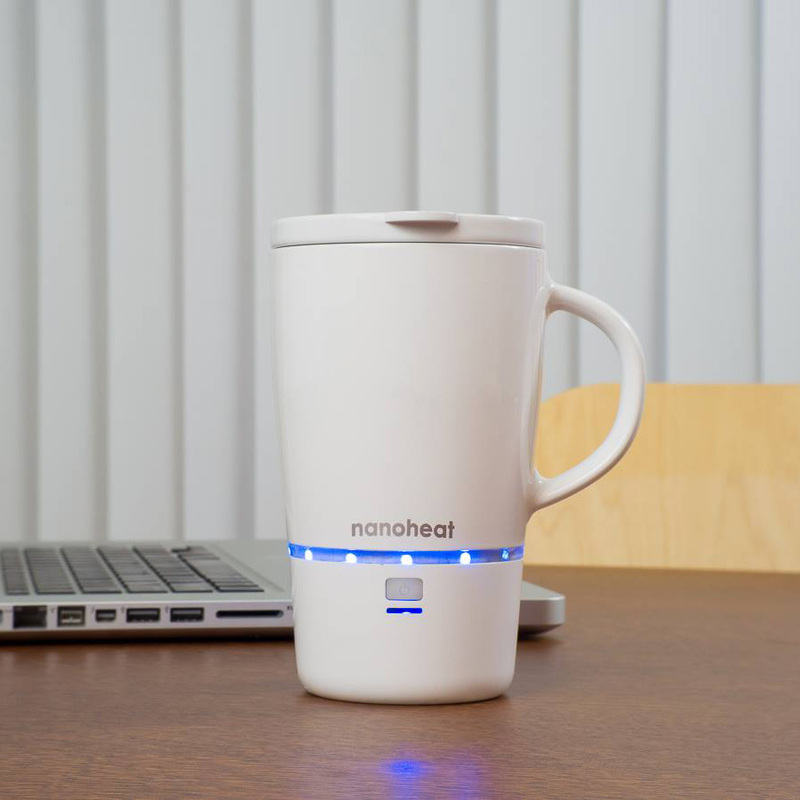 It can hold up to 16 ounces of a hot beverage, takes 30 minutes to charge with a standard USB cord and a charge can last for 7 or more refills. This mug is not, however, for people who like options and control. There's no option to regulate the temperature of your beverage; the mug always keeps your drink at 155 to 160 degrees Fahrenheit. Also, for now it only comes in white, gray or black, so if you like your coffee cup to be a personality statement, you may have to stick with heating your drink the old-fashioned way. Launched through a Kickstarter, Green Lama is still working out the kinks. The delivery date is listed as August 2015, but they're still working on packaging the battery. As they reported, "It was easy during prototype development … A little more challenging at production stage." In fact, they may change the design to accommodate a power bank. You can preorder the Nano Heated Mug from Green Lama's site and follow their Kickstarter for updates. Available in home- and office-friendly, car-friendly, and wireless charging, there's a mug to suit everyone's coffee habits. No more suffering for the sake of caffeine, throwing out the bottom of your cup or scalding yourself on microwaved coffee.